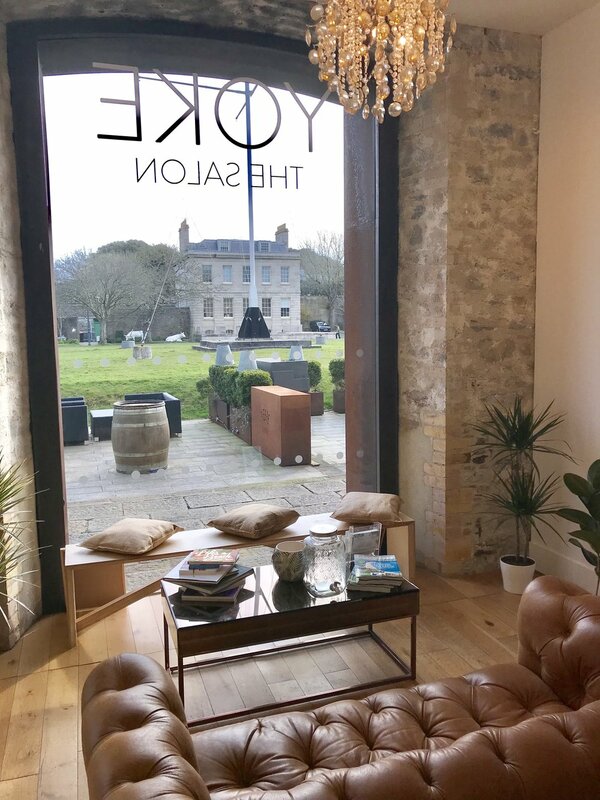 A couple of weeks ago I took a trial yoga class at YOKE to see how yoga would work in the space and after a lovely class I have decided to make it a regular thing. Classes are £4 per person and you must book to secure your space. 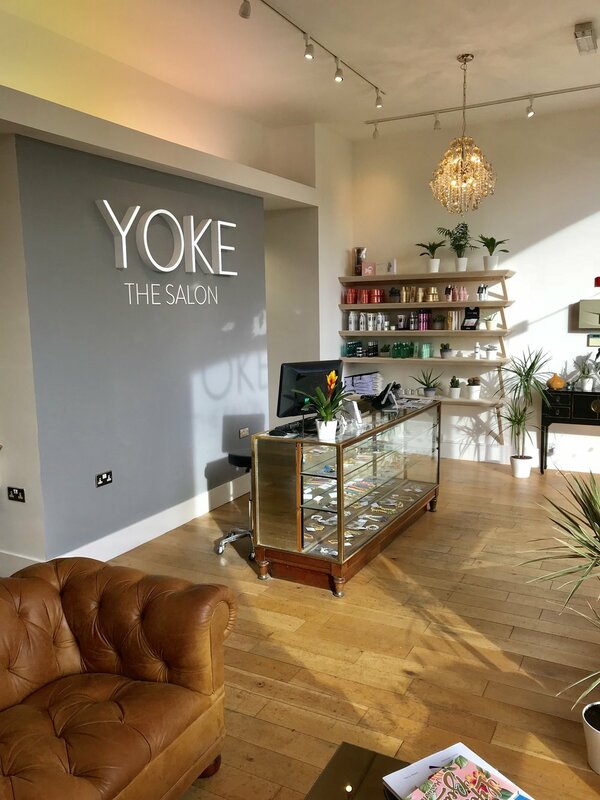 To book please pop me an email yokethesalon@gmail.com or send us a message via Facebook. 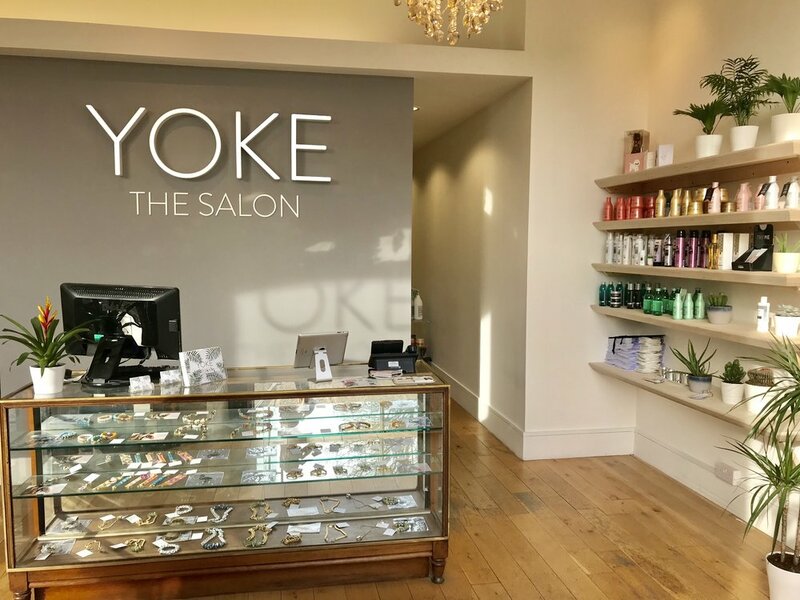 We have been beavering away morning, noon and night for the last 5 weeks to give the salon a brand new look and some fresh vibes & we are so very nearly there! Our vision was to create a clean, light creative space that is easy and fluid to work in, whilst feeling spacious and chilled for all our visitors. We have worked closely with our super talented carpenter mate Gareth - who we met when he was working on some mega mansions in Sydney, a few years ago. Gareth used beautiful light wood and minimal fixtures to tie in the natural look and feel. Thanks so much to everyone that has helped - special thanks to Paul Thompson, Gareth from GDS & South West Signs for bringing our vision to life. A few more things to do but we are nearly there. YOKE's Creative Director, James spent a day on location last week as a session stylist for Couture Bridal designer Amy Mair's most recent look book 'She walks in beauty'. Check out some of the behind the scenes snaps from the day below and keep your eyes peeled for the final images in a few weeks!